The European Union’s northernmost waters are covered by sea ice every winter, affecting the smooth maritime transport in the area. During normal and hard winters a high number of vessels are frequently delayed due to ice conditions. At the same time, modern logistic standards require predictability in the transport system; in addition, the increasing number and size of vessels navigating in the Baltic Sea and new regulations for protection of the environment are impacting on the winter navigation system design and capacity; for these reasons the winter navigation system must continuously be adapted to the changes in the maritime traffic pattern. Winter Navigation Motorways of the Sea II (WINMOS II) Action aims to ensure safe and reliable winter traffic in a cost efficient way by further developing the winter navigation system and ensuring sufficient icebreaking capacity. It will also enhance and deepen the co-operation between Estonia, Finland and Sweden in a continued spirit of the Memorandum of Understanding (MoU) concerning a common optimal icebreaking service level and capacity for upcoming needs. Presented as a wider benefits Action, WINMOS II is a continuation of a previous one co-funded under TEN-T, WINMOS (I). The main objectives of WINMOS II are to further develop and enhance the maritime winter navigation system and its safety and to safeguard required icebreaking resources by developing new options as well as by upgrading the old capacity to modern day environmental standards. It addresses therefore the objectives of the TEN-T guidelines and the MoS objectives by contributing to emissions reduction, supporting ICT information systems, optimising icebreaking operations etc. Debate on global warming is continuously ongoing and some people think that, there will be no ice in the Baltic Sea in the future. It is therefore important to underline the fact that sea ice is expected to occur during the foreseeable future and will not disappear within many generations. Long periods with mild winters have happened before, e.g. between 1930 and 1940. It is impossible to forecast ice extension for next coming years and therefore there must always be preparedness for severe winters. It is also very important to bear in mind that winters with lesser ice coverage are not easy from merchant vessels’ perspective. During these winters the winds are typically stronger, causing heavy ridging, and pressurised and drifting ice-fields in the fairway entrances. Most often these are either impossible or at least not safe for the merchant vessels to pass through without icebreaker assistance, hence making icebreaking a necessity in the region even during mild winters. 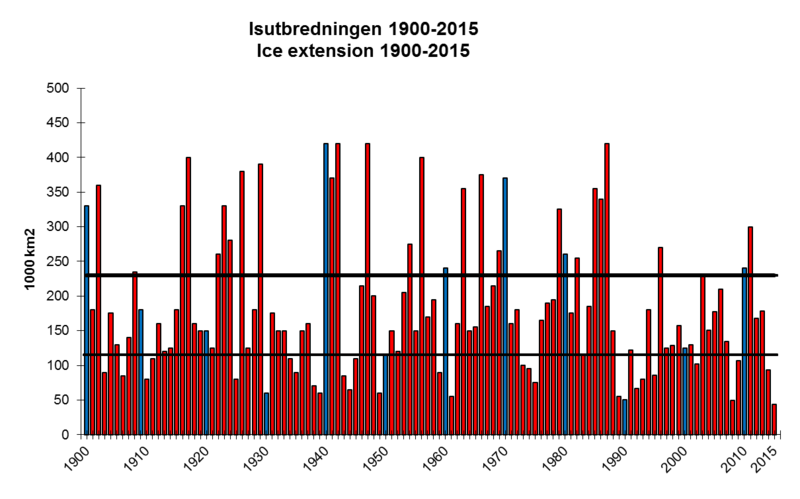 Ice coverage in the Baltic Sea varies between winters. During severe winters even the Danish straights freeze. The different ice extensions between mild, average and severe winters are presented in the picture below. The annual cost of icebreaking services depends on how difficult the winter is but during average winter the cost of icebreaking in the Baltic Sea for Sweden, Finland and Estonia is about 86M€. The cost of the whole winter navigation is much greater. Icebreakers’ operational season is usually between December and May but on a severe winter it can start as early as October. Modern logistic standards require predictability in the transport system, all the year around, why the winter navigation system must continuously be developed and meet the trading countries’ requirements. More efficient, economical and environmentally friendly transportation is needed due to increasing traffic volumes, demands for sustainable development and more demanding environmental laws also during winters without forgetting the education of how to work and operate in the cold icy conditions. The implementation period of the project is from 11 February 2016 till 31 October 2019. The budet of the whole project is 18,97M€ and amount of granted CEF funding 6,64M€.